In this article, we’ll review 12 of the best football gloves for wide receivers and linemen respectively. Finding the right pair of gloves can be tough, so we’ll also outline some key considerations to help you choose the perfect equipment for your specific needs. So comfortable you won’t want to take them off! Only two colorways available – black/white. Awesome protection on all surfaces. Already know what you’re looking for? Touch here to skip to our reviews. 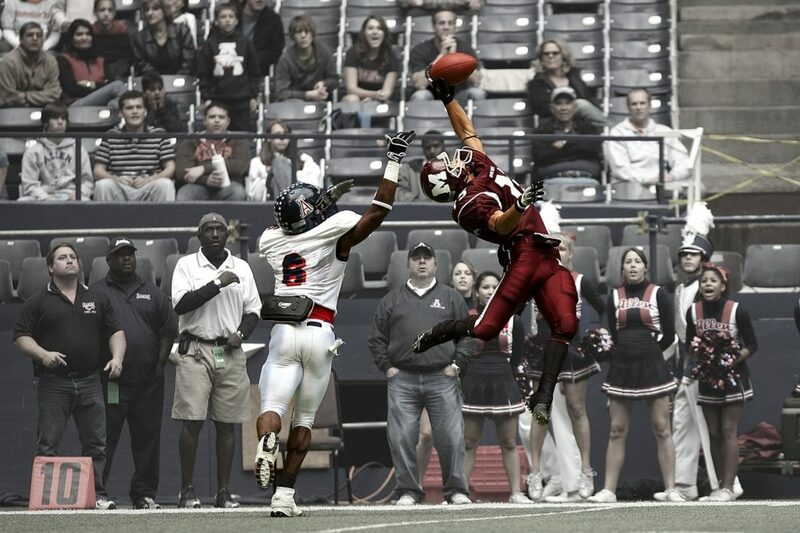 Wide receivers typically pick slimmer, tackier (stickier) gloves to help catch long passes even in slippery conditions. These gloves are small and sleek to ensure they have minimal impact on the player’s sprint motion. However, they do offer a decent amount of protection against cuts and scratches, which is super important considering the clutch catches that your hands have to make on a regular basis. On the other hand, linemen normally go for bigger, bulkier gloves to better protect their hands and fingers. They also do this because their gloves need to be more durable to stand up to constant tackling. 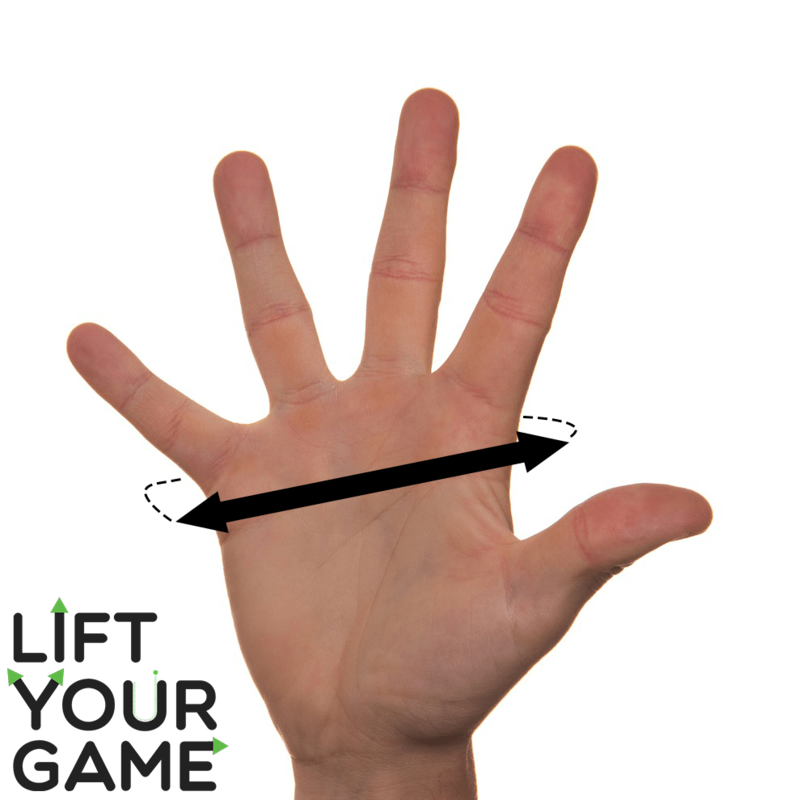 In saying this, linemen gloves normally have a bit of grip to help with handling the ball and opposition players. Both types of players wear gloves to ensure their hands remain at an appropriate temperature. Too cold and they become numb, making it hard to catch the ball. Too hot and they become sweaty, which is uncomfortable and may result in the ball slipping out of the player’s hands. Youth small, youth medium, youth large, youth extra large. Small, medium, large, XL, XXL, XXXL (adult sizes). How much should I spend on gloves? Honestly, it depends on a few different factors. Firstly, if you’ve tried expensive gloves before, and ripped them apart in less than a season, it’s obviously not worth spending a heap of money on gloves. You’re better off getting something cheaper and then replacing them once or twice a year. However, if you have a particular need for extra grip (as a receiver) or extra protection (as a lineman) it’s definitely worth investing in the best-possible gloves you can find. While cheaper options aren’t all terrible, better-quality gloves will obviously be more comfortable and give you the confidence you need to play as well as you possibly can. Plus, compared to other gear (like cleats or helmets), premium gloves aren’t actually that expensive. So if you can afford it, it can definitely be worth going for a top-of-the-range option. Now onto the reviews! Here we’ve assessed the best football gloves for receivers on the market in 2019 in terms of grip when catching, value for money, and durability. The Rev Pro features a perforated C-TACK palm for increased grip and breathability, which can be “recharged” by wiping with a wet cloth or by machine washing the gloves. This durable tackiness is reinforced by synthetic panels on the backhand for increased support, which are specifically engineered to be as flexible as possible when bent forward to help you grip the ball. What’s more, the gloves themselves (not just the palm) are very durable, making the Rev Pro incredible value for money considering the price. They even come in a whole range of colors – more than 20 at latest count! Be aware that these gloves are tight-fitting, so go a size up if you’re unsure what to go for. Massive range of styles to choose from. No complaints here – a really nice glove for the price. With the RG-14, EliteTek have produced a durable mid-budget option by using specialized heavy-duty stitching at vulnerable stress points on the glove. They even offer a total money back guarantee in case you’re not 100% satisfied with your new gloves. The custom-engineered GripTech palm surface helps to maximize tackiness, which works well for grasping long passes in particular. As one of the few gloves that comes in a youth XXS, the RG-14 is a great choice for children of around the age of 6. Like with the Rev Pro, numerous colorways are available. The one downside to these gloves would be the lack of wrist and backhand support. Compared to some other, more expensive gloves they do feel a bit flimsy. Wide range of colors/sizes available. As the name implies, the Battle Ultra Stick takes you to “the legal stick limit” – giving you an extra edge when gripping the ball. The gloves use the company’s specialized palm material to maintain this tackiness in the long term. In fact, Battle offers a 90-day durability guarantee for peace of mind when buying. To enhance the feel for the ball these gloves offer they are designed to fit very snugly, so order a size up if you think you’re in the upper range for your regular size. The Velcro strap offers some freedom when securing the gloves, allowing the player to choose how snug they want them to fit on their hands. Also considering the decent durability of the gloves and the exceptional price, the Battle Ultra Stick is a great option for wide receivers. Snug fit – very comfortable. None available considering the price! Having made soccer goalkeeper gloves for decades now, Adidas knows a thing or two about designing mitts that grip. The seamless GripTack palm material offers exceptional tackiness even in wet or snowy conditions. Combined with the compression fabric/neoprene material mixture, these gloves fit close to the palm, giving a nice feel for the ball when catching. Adidas’ “compression fit” also provides a lightweight feel, making the gloves some of the least noticeable for the player when in use. After a few sessions the gloves feel perfectly natural, making catches a breeze. Like Adidas’ goalkeeper glove offerings, the AdiZERO 4.0 is relatively durable, but at the same time comes at a very reasonable price. Great grip in all weather. The F5 is another one of those super-sticky gloves, Under Armour’s GrabTack palm doing an amazing job at improving grip when catching. These gloves are also designed with comfort in mind, using HeatGear fabric to achieve an optimum temperature balance – not too hot and not too cold. A highly breathable lining also helps to wick sweat away from your hand. Although these aren’t the most durable gloves on the market, they do come in a massive range of colors and have a nice tight fit to enhance your feel for the ball. Durability – not the greatest. This glove option from Nike aims to maximize comfort as a top priority, ensuring you feel almost as if you’re not wearing gloves at all. A mesh backhand enhances breathability while maintaining flexibility, allowing you to clamp down on the ball when running. Even the knuckles feature the same mesh material, further maximizing hand flexibility and comfort. In terms of grip, Nike’s silicon palm does a good job at maintaining tackiness over time while also giving the gloves a nice lightweight feel. The Vapor Jet 4 also has a strap designed to allow you some freedom in determining how tightly you want the gloves to fit. However, like the Under Armour F5 they can suffer durability issues at times. Stitches can come loose with regular play. Looking for that perfect balance between grip and comfort? Grip Boost have got your covered. Grip Tack technology on the palm makes this glove one of the stickiest on the market, while the backhand is designed to maximize support when catching. For the price, the Stealth have incredible grip and the palm remains tacky even after being used for a full season or two. In regards to comfort, the gloves are made with an incredibly light material and are extra-breathable, helping to achieve that optimum temperature balance that receivers love. They have a nice tight fit to minimize slippage, and the ultra tacky material is surprisingly durable. N/A – great gloves for the price. The Neumann Original aims to maximize grip while also maintaining your feel for the ball when catching. This is achieved through the use of “tackified” leather palms and a flexible material which molds to the shape of your hands. Some players we’ve talked to like to use these gloves for everyday household use – they’re that comfortable! What more, the gloves are very durable even when used in harsh weather conditions due to the way the leather palm has been treated. Unlike other, cheaper gloves, Neumann uses high-quality stitching that doesn’t come apart easily. They’re even machine washable, which is great for parents! As we discussed earlier, as a lineman you’ll want gloves that maximize hand protection when tackling. We’ve reviewed 4 of the best lineman football gloves for sale right now. Whether to buy fingerless football gloves is a matter of personal preference. 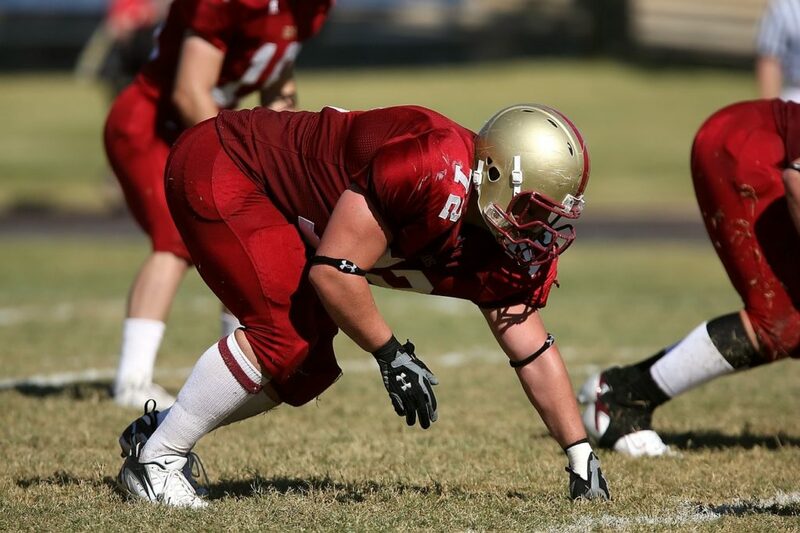 Some linemen prefer to have their fingers free to maximize their feel for the ball when catching. However, others like to protect their entire hand from the cold – particularly players up north! The Adidas Scorch Destroyer has 5mm pads for shock absorption when tackling, while GripTack on the upper portion of the palm helps to maximize grip when holding the ball. A molded rubber tab and Lycra backhand ensures a snug and secure fit, reducing glove wear by minimizing slippage. Overall the gloves are quite durable while also being comfortable to wear, as the finger holes offer decent ventilation when playing. Very comfortable – snug and secure. Nothing to mention – great gloves for the price! Using compressed foam pads, Cutters have produced a glove with exceptional palm protection while also minimizing weight. The C-TACK pads on the palm also work to minimize wrist impact while maximizing grip. Like other Cutters gloves, the Force lineman model features REV-TACK recharge, allowing for the palm grip to be restored with a machine wash. Although the gloves are on the expensive side, they are very durable and perform well in all weather conditions. The thick material makes them suitable for colder climates in particular, however the perforated gussets also offer excellent breathability in warmer weather. Great shock absorption & protection. Good grip, durable palm surface. Nike’s D-TACK 5 is probably one of the best football gloves on the market for linemen right now in terms of overall build quality. The glove features complete padding on all surfaces, maximizing protection when handling opposing players. On the palm, Hydragrip technology ensures you can grab your man and the ball in all weather conditions. The glove is also incredibly comfortable due to the adjustable wrist strap, enabling you to determine exactly how tight you want the glove to fit. Mesh material also maximizes ventilation, ensuring your hands remain dry in-game. As would be expected for the price, the D-TACK 5 is probably the most durable lineman glove available right now. Expect it to last for at least 2-3 seasons if you store it in a cool, dry place and wash it regularly. 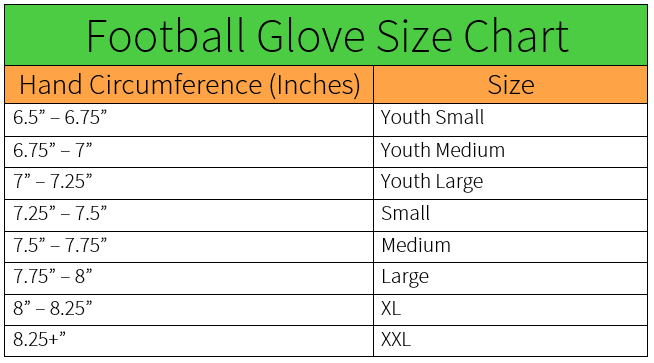 Looking for football gloves for a younger lineman? Like the Scorch Destroyer, the Adidas TechFit features a Grip Tack surface to maximize grip in all weather conditions. In addition, the gloves have extra-large pads on the backhand and palm to protect against cuts, bruises and wrist strains when tackling. Between the pads, Adidas use a breathable mesh and tough Lycra to achieve a balance between durability and ventilation. The palm itself uses a heavy-duty synthetic leather surface to ensure that this area deflects shocks from hard hits. Despite some durability issues in regards to stitching on the fingers, the TechFit is a great option for youth players considering the price. Looking for the adult version? Touch here to view it on Amazon.com. Finding the best football gloves for your individual needs can be tricky! If you’re still unsure which gloves are right for you, or you think we’ve missed a really great glove, leave a comment and we’ll get back to you!